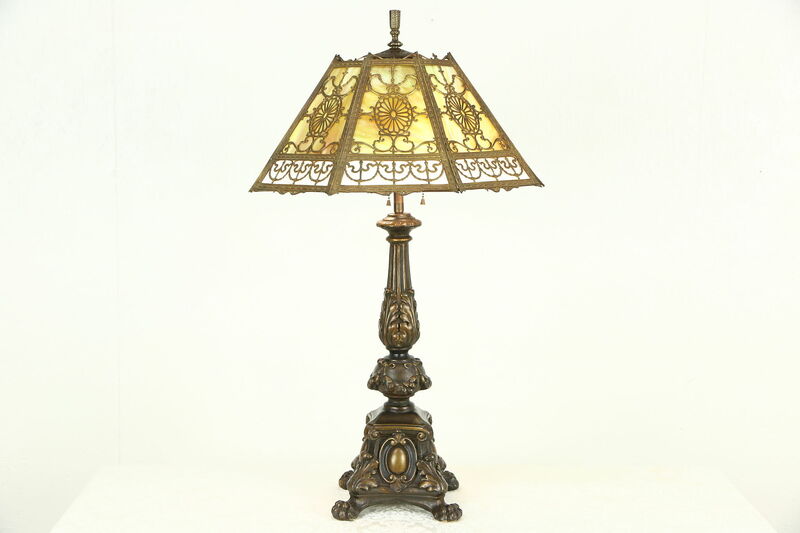 An exquisite lamp from about 1915 has a stained glass shade and carved wooden base with original dark bronze and hand painted finish. The shade glass is undamaged, there are small losses to the delicate filigree at the edges, see photos. Two standard base sockets have been rewired on this American made antique light. The shade is 19" across, overall height including the finial is 31." Please view 29 photos at full screen size for best detail.